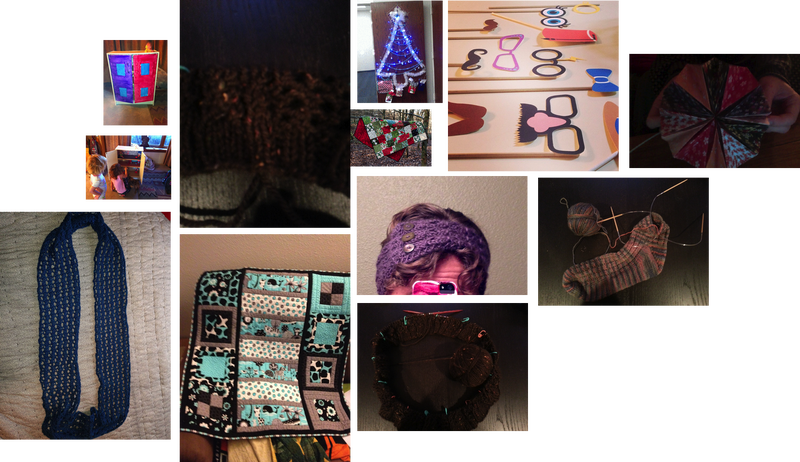 ​Crafting Round-Up: What did you do this week? It's that time of the week again! It's time to show off what you did in the past seven days with regards to your crafts. Start something up? Pick out a new project? Finish something? Make some progress? Give up completely? Share! I did a quick project from the Idiots Guide to Knitting. I felt like I needed a quick palate cleanser before I moved onto a mega-project. The Spa Towel ended up being really pretty, even though it's just stockinette and seed stitch. The only hiccup I had was realizing that I can't print off just a page of an ebook. Screenshots and Amazon's Cloud Reader to the rescue! I used Knit Picks CotLin, which may become my go-to for cotton projects. It's soft, it's easy to knit with, and comes in some rather pretty colors. Others have complained about the fuzz, but after using it twice, I haven't run into that. Oh, and this pattern uses exactly one ball of CotLin. Here is all the yarn I had left once binding off. Yes, I was sweating a bit. I also cast on for a mega project. I'm doing my first mystery knit-along! I stumbled onto it just in time to pick out some yarn! I got the Zero clue done (this one just had the dates for the other clues, and a bit of the pattern so people could swatch). I'm doing it in laceweight and on slightly smaller needles, so, um, expect to see this scarf for a while. What did you do? Post your progress in the comments!